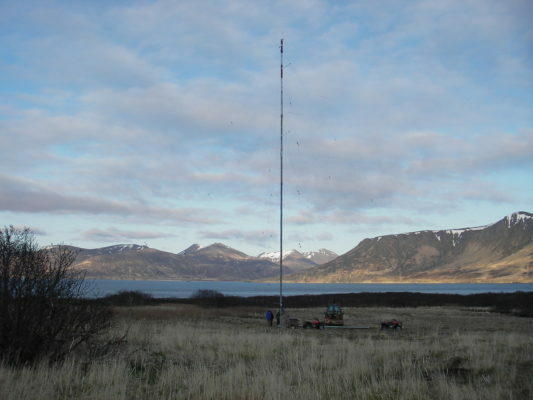 The wind resource in False Pass is generally very good, but the relatively high mean annual wind speed is tempered by high turbulence, a consequent perhaps of the met tower location near a high escarpment, but undoubtedly reflective also of the complex topography of the False Pass area and the generally high and chaotic winds of the region. It is possible that less turbulent winds may be found nearer the village itself, but airspace considerations for the airport limit site options. V3 Energy was principal author and analyst of a 2015 wind energy feasibility report of False Pass prepared by March Creek, LLC. This report concluded that because of high turbulence, wind power with normal horizontal axis wind turbines is not feasible for the community. The report also recommended that turbulence-resistant vertical axis wind turbines (VAWT) not be employed due to poor operating history of two VAWT models installed in nearby Cold Bay. At present, a run-of-river hydro project is planned for False Pass to provide renewable energy to the community.